Add all ingredients to ice-filled shaker. Shake vigorously. Pour over ice or serve up in your favorite fancy cocktail glass! Garnish with lemon twist. *You can make your own syrup or purchase from our friends at Royal rose Syrup co. Combine all ingredients in a cocktail shaker, shake with ice, strain into a chilled coup. Garnish with a fresh rosemary sprig. Combine White Whiskey, Grapefruit Shrub and Ginger Beer in Shaker with ice. Pour into iced glass, add bitters and top with all spice and garnish with lime. An absolutely delicious cocktail that is perfect for spring and summer. Our most popular cocktail served in our tasting bar! Add all ingredients except soda water to shaker. Add ice. Shake. Strain into rocks glass filled with ice. Top with soda water. Garnish with lavender sprig. Enjoy! 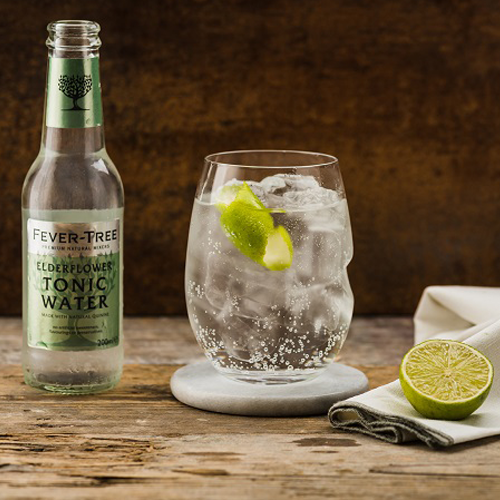 Pairing Griffo Scott Street Gin and Fever Tree Elderflower Tonic to create an amazing twist on the G&T. Combine over ice and top with Fevertree Elderflower tonic and a hefty squeeze of lime. Enjoy! Our limited edition White Whiskey makes a mean margarita! We love to garnish it with a little red jalapeno for a perfect kick. Rim a highball, Martini glass or Collins glass with salt by running a lime wedge around the rim and dipping the glass in salt. Set the glass to the side. In a cocktail shaker with ice, add the tequila, Cointreau, fresh squeezed lime juice, and agave nectar. Shake Margarita mixture until super cold. Strain mixture out over fresh ice into your glass, being careful not to disturb the salted rim. Add some lime wedges and jalepeno for garnish. Serve and enjoy! Traditional yums made with Cahoots Old Fashioned Syrup (available to purchase in the tasting bar). Easy and great for a crowd as well. Add all ingredients to shaker with ice. Stir or shake. Pour into rocks glasses with ice. Sip. Enjoy! Traditional Bees Knees with the delicious Small Hand Foods Passion Fruit Syrup and Griffo's own Special Release Barrel Aged Gin. Mix ingredients in a shaker and stir or shake and pour over ice in rocks glass. Garnish with lemon and sip the day away. 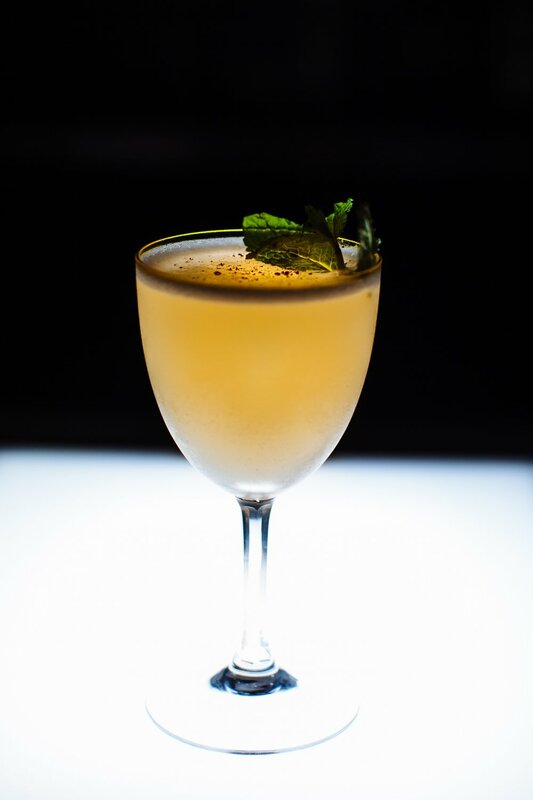 A fresh and light drink that has great complexity and is a total crowd pleaser. Directions: Add all ingredients to shaker and fill with ice. Shake. Strain over large ice cube (if possible). Peel lime, twist expressing oils over the cocktail, and use as garnish. An INCREDIBLE Holiday Punch. Makes 10 cocktails. Serve in 9 oz glasses. Ideally made 1 day ahead. Directions: Mix everything together except the tonic and lemon juice and let sit overnight. Pour into punch bowl and add lemon juice. Direct guests to add ice, punch and a splash of tonic to their glasses. And get merry! This beautiful cocktail is our favorite! A perfectly created fall and winter drink. This festive cocktail is sure to pair with nearly every fall and winter holiday event. Not overly sweet and just lightly figgy, it's a beautifully balanced drink! Shake in shaker with ice, pour over one large ice cube, if available. And, enjoy! Danny O, Award winning, bar man and cocktail designer extraordinaire. Danny has been in the industry for 15 years, many of those years here in Sonoma County. Besides working behind the stick, he has also provided consultation, training, menu design, and private catering throughout the area. Danny heard about Griffo Distillery and reached out with hopes of meeting and becoming involved in our journey. He immediately fell in love with our gin and we fell in love with his drinks. And a perfect team was born.